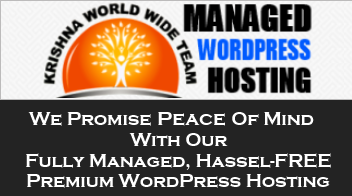 I want to shed some light on things important to you when you are looking for a good web hosting company. I have been asked about some of the things I am going to share today over and over by different people at different times. Some of the technical terms confuse a lot of people while they are looking to find a good hosting company and I know how confused I was when I was starting out. Today, my goal is bring some clarity and define some web hosting terms for you. If you have made a decision to establish your brand identity online, you are probably now considering to launch your brand new website. This is where you need to understand a few basics, right? I have shared my website hosting story on a prior occasion, where I told you how I decided to do it myself when a web developer from Bangalore asked me to pay an amount which I thought was too much for the job. But I was an IT professional by background and I had a handle on technology in general already. So, when I started hosting my first website, as an entrepreneur, I didn’t have much difficulty in catching up with WordPress. I started by hosting my first website with GoDaddy and it was great. I didn’t have any experience in SEO and therefore I had no expectations. I didn’t care how much time it took to load a page and if I recall, snigdhakrishna.com used to take about 35 seconds to load. Neither Snigdha nor I cared and as a matter of fact, no one ever complained that the website was slow. Have you been in a situation when you updated your WordPress or one of your WordPress plugins which now requires you to do a global find and replace in many published posts on your blog? There are times when you are forced to think of an option to replace a particular word or a URL by a new one because may be you changed domains or because you needed to replace a hard coded affiliate link to a new link for any reason. There are many such scenarios and I was in that situation just a few days ago when one of the plugins Shortcode Ultimate on my website came up with a new update that changed the name of the property “color” to “background”. Brute Force Attacks on WordPress Websites have caused a lot of pain to webmasters and web hosting companies in recent weeks. If you’re using WordPress to power your website, you may be vulnerable to a new web-based attack that aims to hack your admin password. The good news is you can do something about it. You can tighten your WordPress security to counter these attacks. But first, let’s understand these attacks a little better. What Are Brute Force Attacks? Brute Force Attacks are targeted to hack your WordPress Admin Dashboard. These attacks specifically target your WordPress website’s wp-login.php from a large number of IP addresses spread geographically around the world. I recently met a few awesome WordPress bloggers, web developers and other hosting experts in a recent a WordPress meetup event this month. It was an interesting event targeted at educating WordPress developers and website owners about various security threats and how to take care of those. One thing that stuck me during the meeting was, the realization that so may people are not very deligent about taking backup of their websites. I was amazed to see the number of people who fell in that category not knowing how fatal mistake it may prove to be in case something goes wrong. Many people take backups here and there, but most aren't very systematic in this regard.